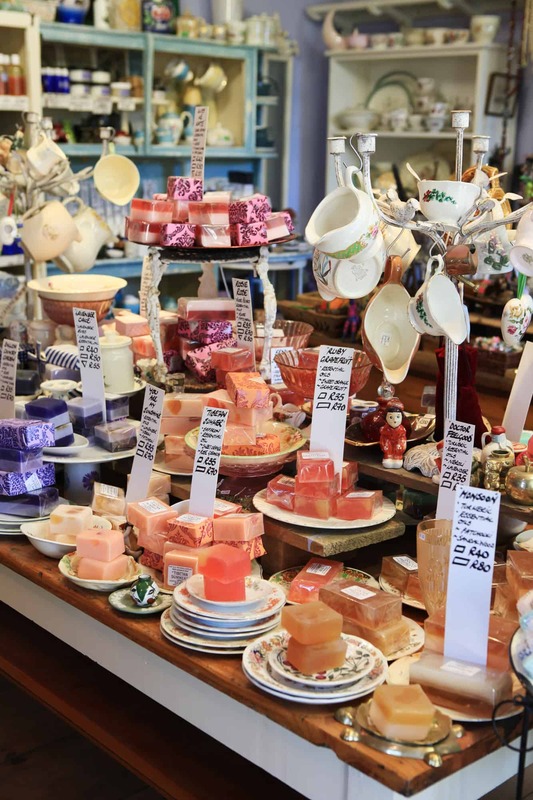 Vibrant, eclectic, and inspired, our shop is always a hub of diversity and innovation, drawing the customers into a world of fragrance, warmth, and colour unlike any other! 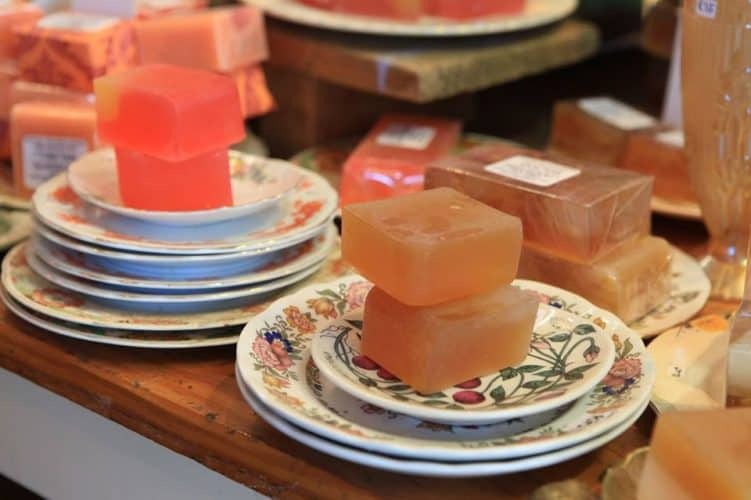 Many are familiar with ‘the soap shop’ at Old Nick Village. 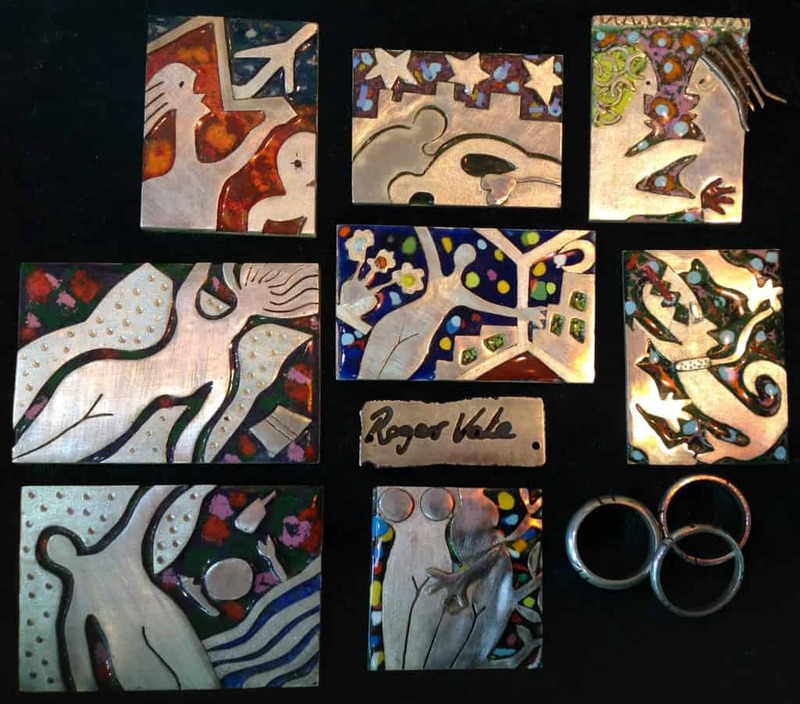 Debbie and Roger Vale have put together a fascinating shop selling not only their own unique range of aromatic body products and fine silver jewellery but a fascinating mix of antique and re-purposed household products and gifts. 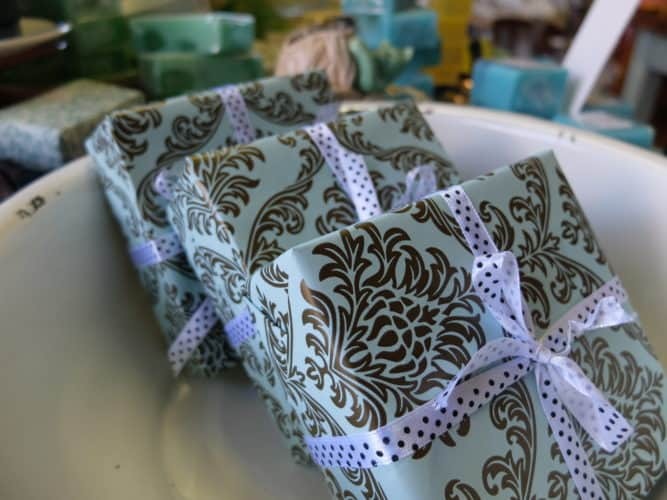 What motivated you to start a range of handmade soaps and lotions? 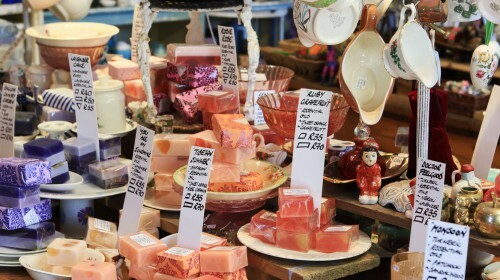 Whilst traveling in the UK and Europe I became aware of a developing trend towards handmade soaps, cosmetics, and body products. 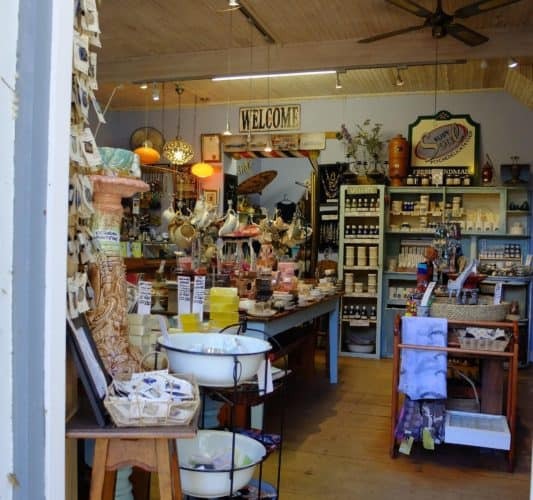 At that time South Africa seemed to be lagging behind, and having dabbled in essential oils making lotions and potions for my family, it seemed like the right moment to launch a new product into the South African market. Thus Ruby Soul was conceived. 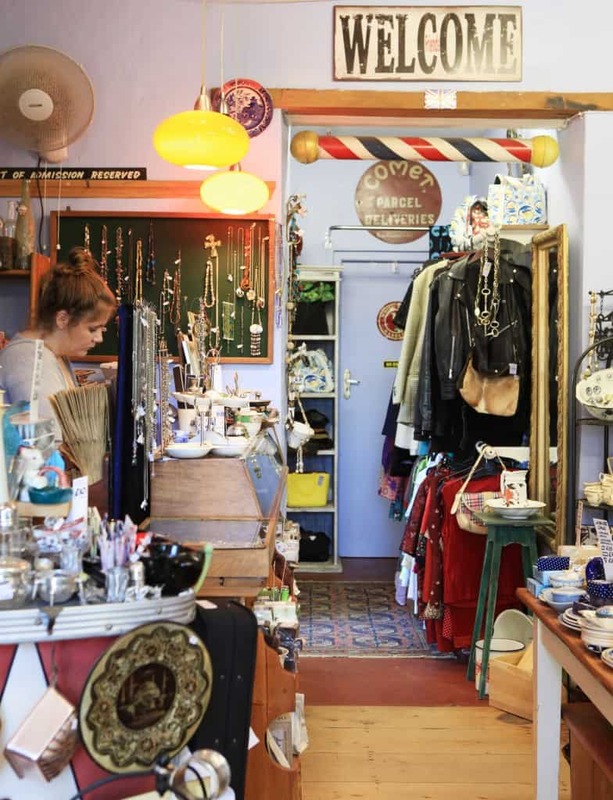 Describe the ‘personality’ of your shop? Ever changing and evolving! 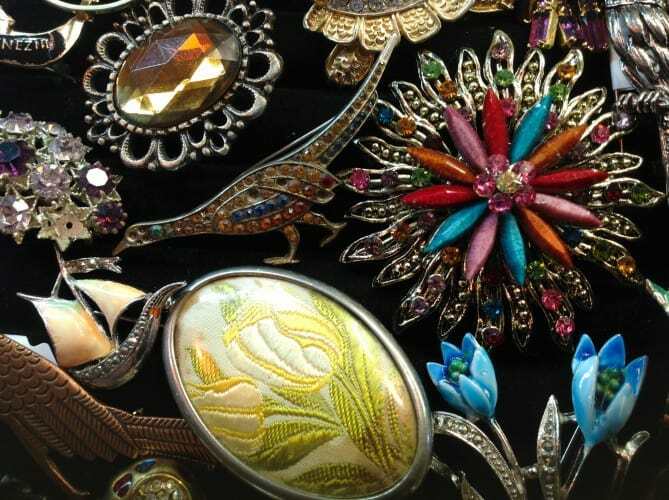 Vibrant, eclectic, and inspired, it is always a hub of diversity and innovation, drawing the customers into a world of fragrance, warmth, and colour unlike any other! We have strung together a cornucopia that is truly a feast of the unusual and aromatically sensual. Clearly your shop at Old Nick Village is not your only sales platform, can you explain? We have a number of different sales platforms. The most accessible for out of towners is our website. We also supply wholesale to health shops and gift shops countrywide and trade at various retail shows throughout the year. Many of our products are a hit in the hospitality industry — boutique hotels, B&Bs, and lodges. We also make custom orders for corporate functions, and even three-tiered cakes and petite party favours for weddings! Clearly there is an ethic behind the products you make and sell. This is a superior product using fresh natural ingredients, seasonal fruit and vegetables, herbs, and the very best essential oils. We don’t use animal fats, preservatives, or synthetic fragrances, and nothing is tested on animals making this a truly planet friendly product. Give us an idea of the work that goes into an individual bar of soap. 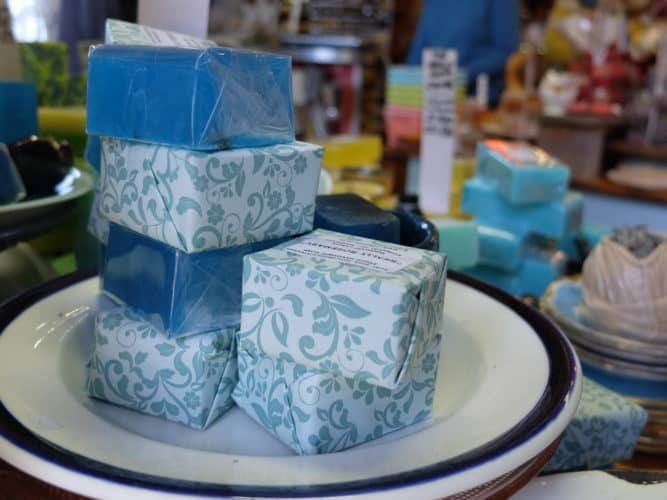 In an age where so little is still truly handmade, we take great pride in the fact that all of the soaps are hand weighed, hand mixed, hand beaten, hand poured, hand cut and hand wrapped. We are always exploring ideas and ever changing fragrance combinations with quirky names for each individual range. You have a unique and sensuous bent to your displays. Is this a reflection of your home? When one considers that what one does is essentially one’s creative expression, it is inevitable that our home would have a similar feel. Roger and Debbie, you are the formidable team behind Ruby Soul? How has your individual inputs shaped your business? 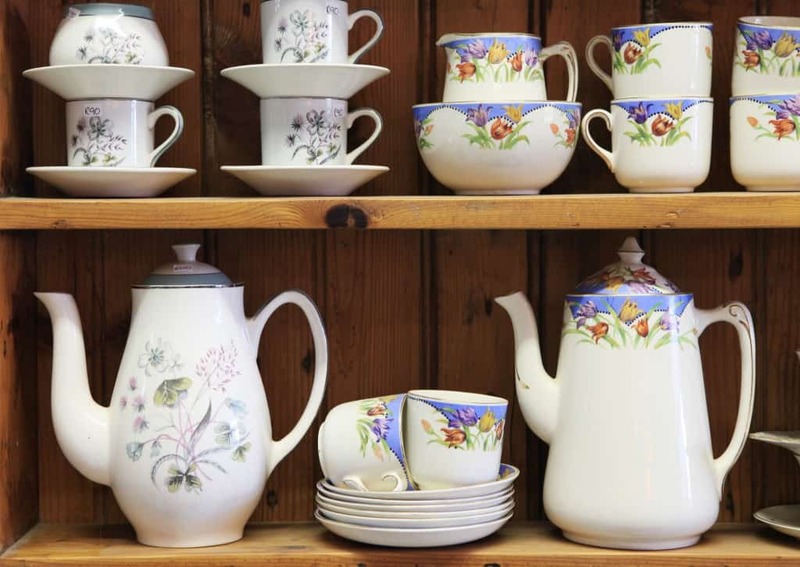 Debbie sources antique plates, jugs, candelabras and curiosities. These she piles high with blocks soap, oils, lotions, potions, balms, and foams. Everything looks and smells good enough to eat. 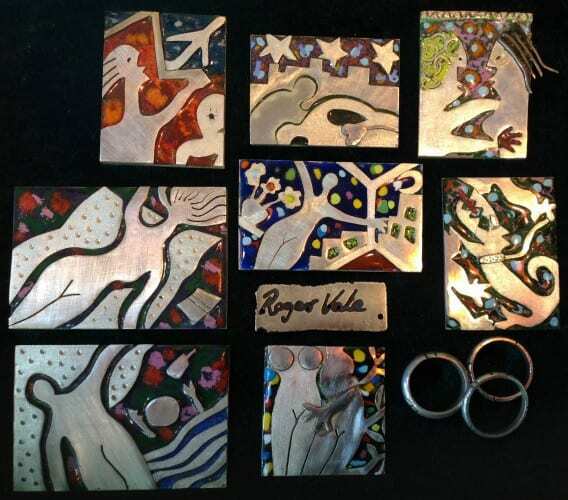 Roger is a skilled craftsman, goldsmith and innovative artist, making wearable artworks, using fine silver with fired with pure coloured enamels. Working with both Scandanavian and African influences his work seamlessly compliments the textures of inimitable Ruby Soul.